PT Podcast is back and this time with Barb Hoogenboom! Barb Hoogenboom, EdD, PT, SCS, ATC is an associate professor and an associate program chair at Grand Valley State University Physical Therapy program. She has certification in physical therapy from Cleveland State University, a Masters Degree in Health Sciences from Grand Valley State University and a Doctorate in Educational Leadership from Eastern Michigan University. 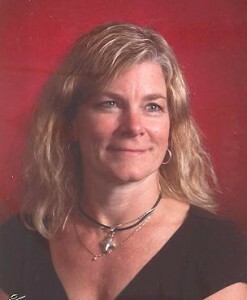 Barb was named by the Western District Michigan Physical Therapy Association, ‘Outstanding Physical Therapist’ for 1993. In addition, she is a member of the American Physical Therapy Association and a member of the Sports Section, where she has been honored with the sections highest award, The Ron Peyton Award, and is a member of the Turner A. Blackburn Sports Physical Therapy Hall of Fame. She is a member of the Female Athlete Triad Coalition, and The American Orthopaedic Society for Sports Medicine (AOSSM).